This is the seventh annual Zombie Walk. It is also an annual Canned Food Drive for Freestore Foodbank. 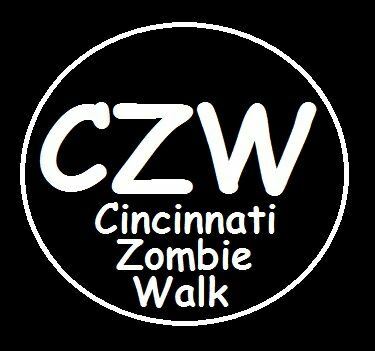 The 2015 Cincinnati Zombie Walk will be starting from the parking lot of Freestore Foodbank, located at 1141 Central Parkway Cincinnati, OH 45202. Please bring canned food. All proceeds go to the Freestore Foodbank. http://fsfbmedia.org/beta https://www.facebook.com/FreestoreFoodbank In addition, there will be a collection of clothing donations for the Back on Track program. http://fsfbmedia.org/beta/programs/back-on-track-program The Cincinnati Zombie Walk is now on the same weekend as the Cincinnati Comic Expo, Greater Cincinnati's largest and most popular comic book/pop culture show. www.cincinnaticomicexpo.com www.facebook.com/CincyComicExpo Live Theater by the S.T.A.R.S. Team. The only force capable of combating the zombie outbreak. www.facebook.com/STARSCincinnati The Walk will parade, on the sidewalks, from the Freestore Foodbank to the Duke Energy Convention Center, located at 525 Elm St. Attendees are then welcome to join the Zombie Walk After-Party in the convention center. The party starts at 8pm and ends around midnight.